Imagine the items that make you feel comfortable. Maybe it’s a soft, warm blanket, or soothing cup of herbal tea. Those little things that bring us comfort mean so much after a long day, and if you’re going through an especially trying time, they mean even more. The caring folks at Giving Comfort realize this and I was happy to be able to spend some time with them on the Gainesville, Florida stop on their #GivingComfort tour. 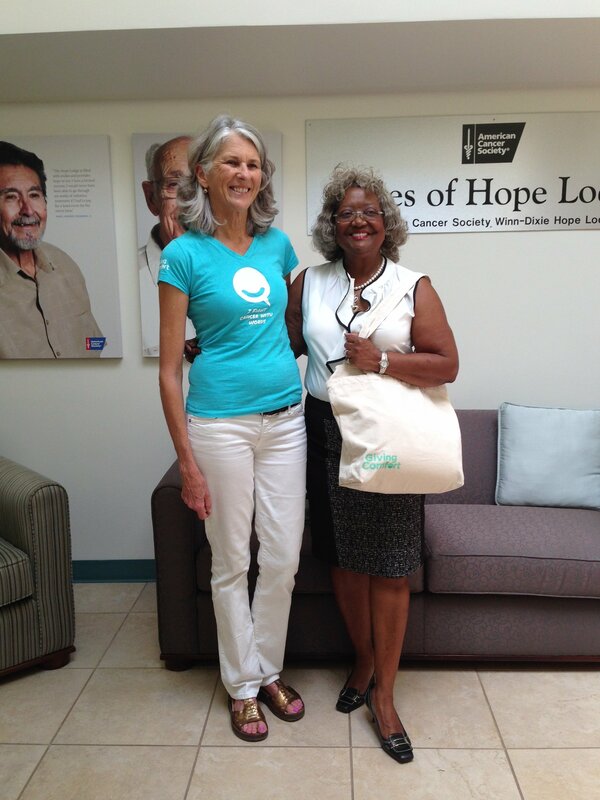 Created in 2012, Giving Comfort provides comfort kits to patients undergoing cancer treatment. 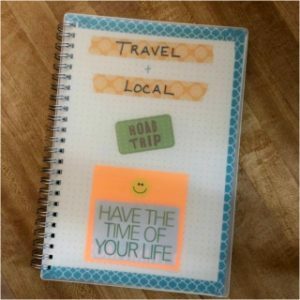 This wonderful non-profit service is offered through the McKesson Foundation, who provides funding to organizations that offer non-medical services to low-income cancer patients in the U.S.
On the cross county Giving Comfort tour, video, photo and written messages of encouragement are collected and shared with cancer patients across the country. 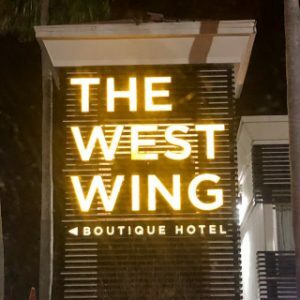 The stop in Gainesville is one of many and you can follow their travels on their blog. My day started with meeting Elizabeth Howland and Sarah Tanner of Giving Comfort and touring the Hope Lodge, funded by the American Cancer Society. Hope Lodge provides lodging and support to patients and their caregivers. 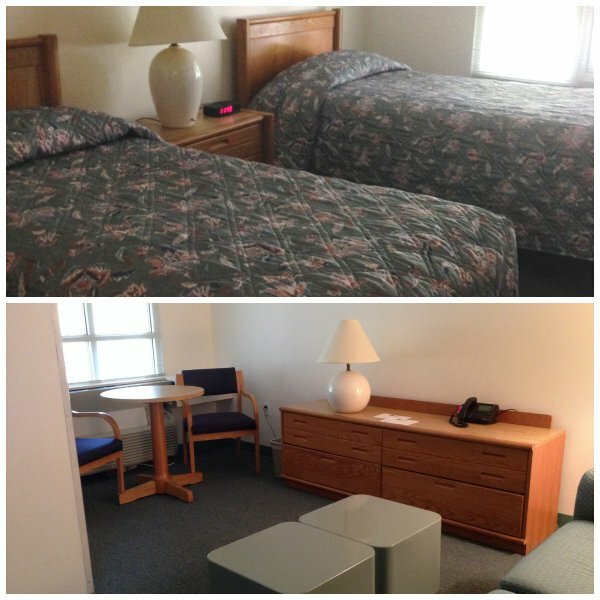 These spacious rooms are provided free of charge, while they’re undergoing treatments at nearby hospitals. The comfort kits had been distributed earlier in the day and all the patients I spoke to appreciated them and told me how much it meant to them. 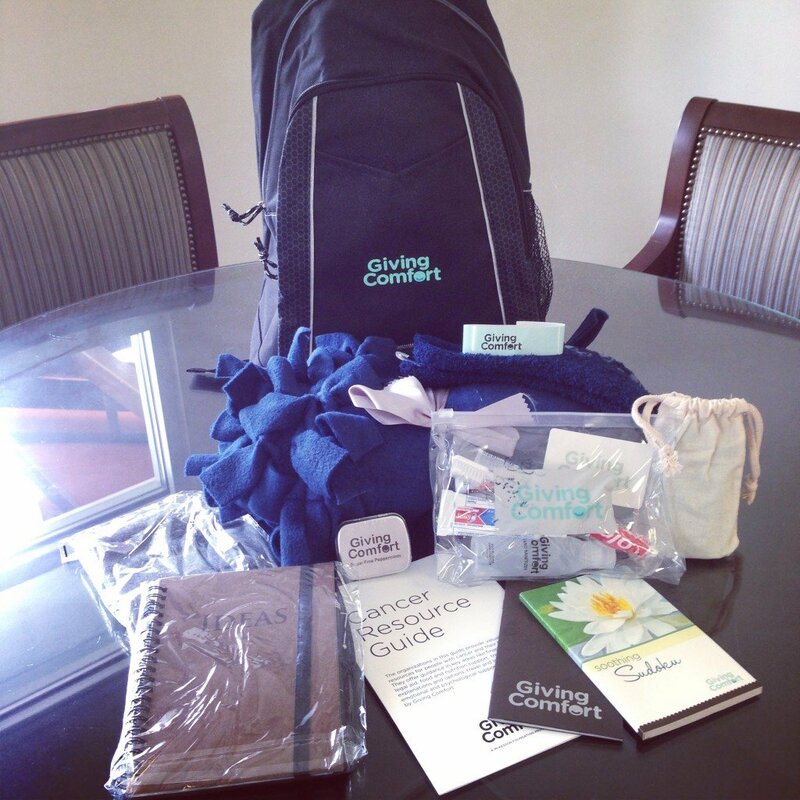 Comfort kits contain items such as a soft blanket, comfy pillow, gripper socks, toiletry pack, sleep cap, a journal, words of comfort book containing notes of encouragement, and a small hope chest containing 30 affirmation cards. For someone going through cancer treatments, these items offer a much needed boost, physically as well as emotionally. 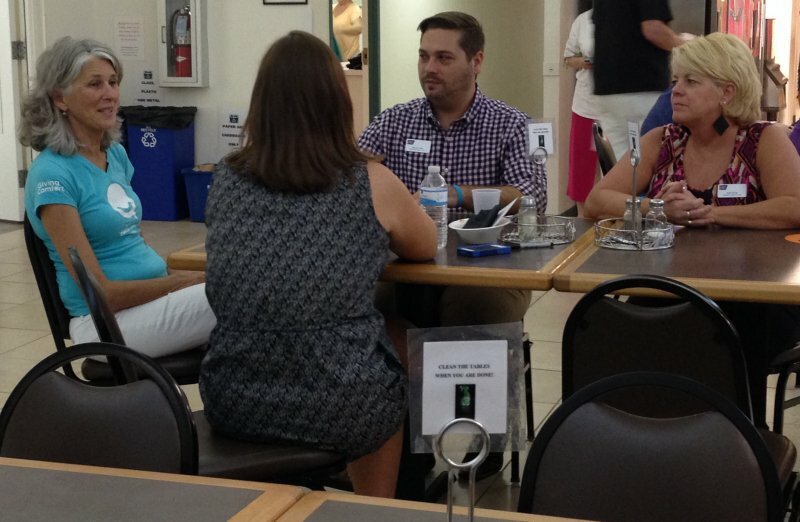 During our time there, we spoke with patients and caregivers who shared their personal stories with us. 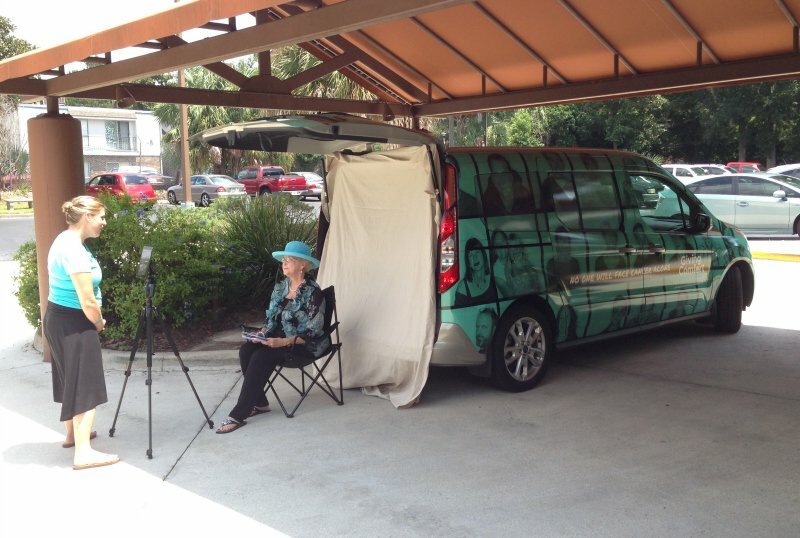 Elizabeth and Sarah invited them to record an encouraging message by their comfort bus. One of the patients was a beautiful woman named Sally, who was with her husband of 56 years. She had previously cared for her husband during his cancer treatments, and she now found herself on the other end with him caring for her through her own battle with the disease. Elizabeth meeting with staff and patients. It seems unfortunate that we live in a time where so many lives are touched by cancer. I’ve lost family members myself, and more recently lost two friends that were my age. If you are moved to help and want to pay it forward, Giving Comfort would be a great place to start. 1. Make a donation: 100% of individual donor dollars go towards purchasing, packing and shipping of Comfort Kits to patients in need. 2. 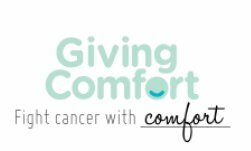 Purchase a kit: If you know someone who needs some comfort from cancer treatments, you can purchase a comfort kit. There are kits for men, women, teens and children, along with some specialty kits. 3. Volunteer or organize a fundraiser: Make blankets, share words of comfort, or raise funds with a group. 4. 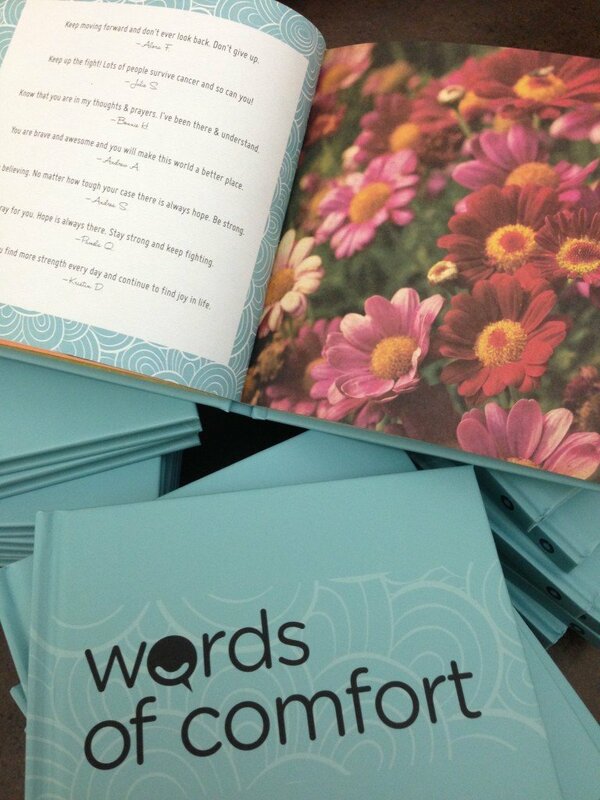 Share words of comfort: Offer encouragement and support to patients currently going through cancer treatments. You can also show love to Giving Comfort by connecting with them through their social media channels. 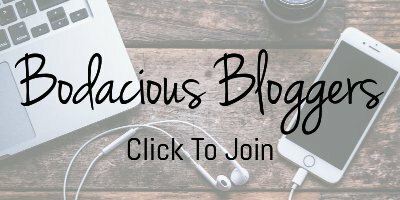 This blog post is part of a paid SocialMoms and Giving Comfort blogging program. The opinions and ideas expressed here are my own. Please use the contact link to discuss promoting your event, product or service. What a special way to help those who really need the comfort. Those comfort kits are a perfect idea and I love how they are allowing them to record messages of hope. Beautiful. What a fabulous charity! That’s a great idea to help comfort and support people. This post really touched my heart. I love to hear when companies do something that actually makes a difference in someones life. What an amazing program! Thanks for spreading the word about this. I’m pinning this so I can remember it in the future. What a great program. 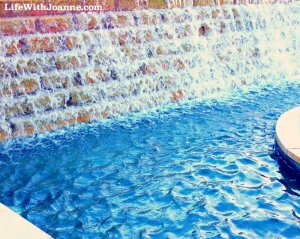 You are so right Joanne in regards to too many people suffer from one form of cancer or another. Programs and people like the one you’ve shared with us, show us the good in others to help those who need it. I will share this with others I know want to help too. Thank you. What an amazing charity. I’ve been on the lookout for charities that give most of their earnings back. When things are tough I must remember how good things really are. I enjoyed going with you Mom. It was so great to see everyone there being generally cheerful! (Big smiles and lots of laughter!) It puts things into perspective for sure, the little problems that happen on day a day to day basis don’t seem so big. I could have it much worst or one of my family members could be sick. I’m very grateful that I have my health and so does my family. I really loved being able to help out and attend a wonderful event. I’m so glad you were able to attend with me. Yes, it does put things in perspective. I love you baby. I love this. There are people I want to share this with – when my then Marketing Director and good friend was going through her first bout with cancer one of her good friends arranged a caring group so that each month one of us friends or a group who cared for her could volunteer to provide a care basket. My mom, sisters and I took a month, and I joined in with my office colleagues for a month. I wish we had known about Giving Comfort then, and so many need something like this. My family and I were so touched, that we have since tried to touch the lives of others experiencing cancer or caring for someone in the experience by providing baskets to them as well. I absolutely LOVE this group. That is beautiful Elizabeth. You should contact Giving Comfort and see about doing a fundraiser!